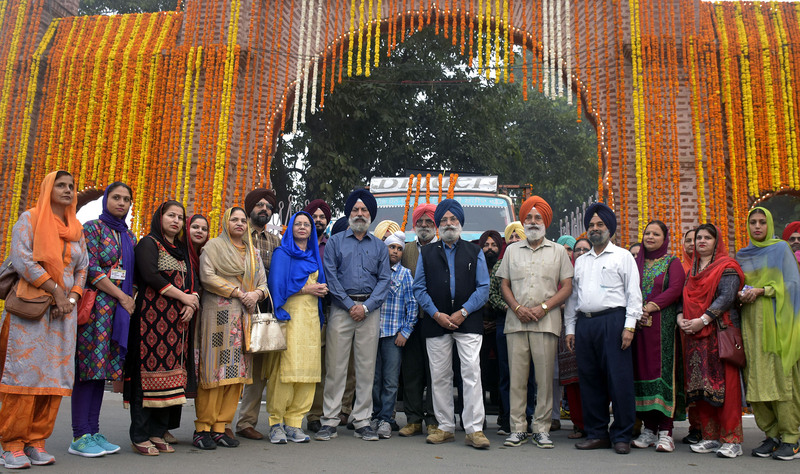 To commemorate the 548th Birth anniversary of Guru Nanak Dev Ji a colourful-mega-religious procession Nagar Kirtan was today organised by Khalsa College Governing Council (KCGC) in which all the educational institutions under the society took part with religious fervour. 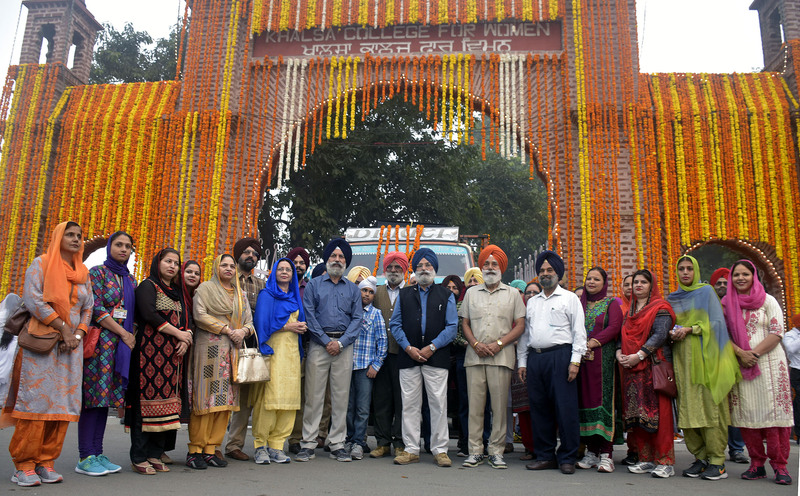 The procession started from Khalsa College and culminated at Harmandar Sahib where Shiromani Gurdwara Parbandhak Committee President Kirpal Singh Badungar received the organisers especially KCGC honourary secretary Rajinder Mohan Singh Chhina. 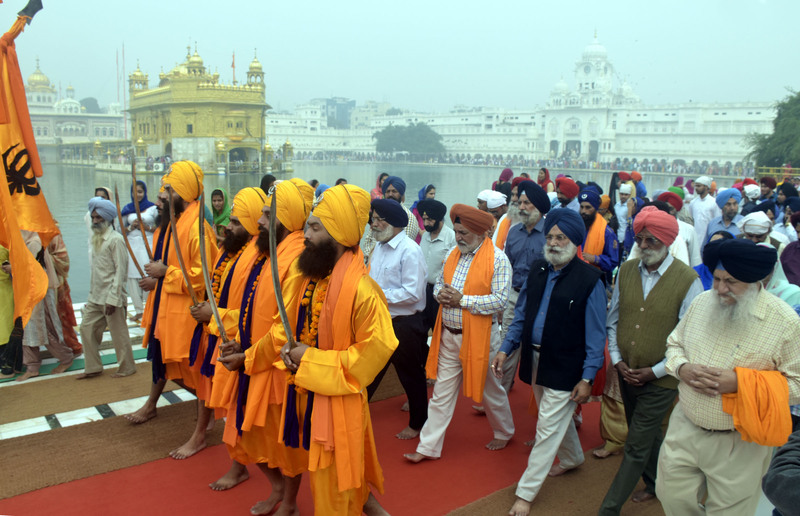 The students from Khalsa Colleges and Schools under KCGC while chanting the Gurbani took part in the Nagar Kirtan, which was led by flower-decked palanquin (Palki Sahib) and `five beloveds’ (Panj Payaras). 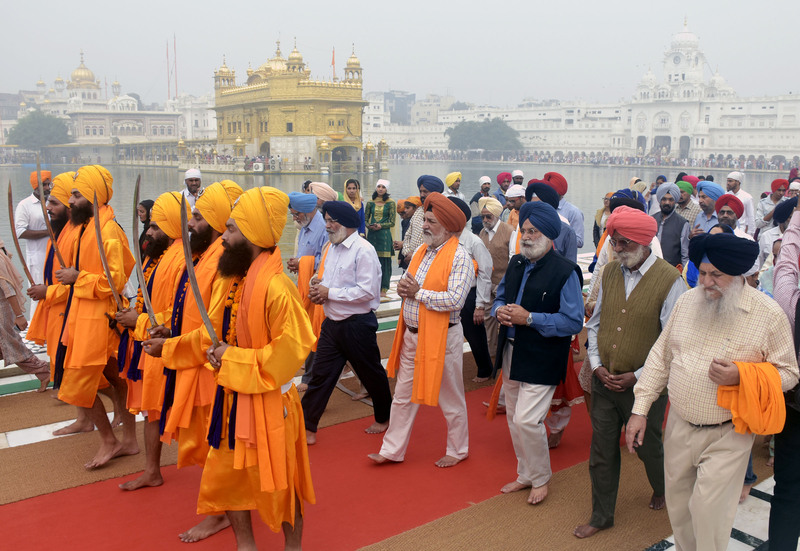 The students reciting verses of Gurbani and singing devotional songs, passed through GT Road, Putlighar, Sadar, Bhandari Bridge, Hall Bazar, finally culminating at Golden Temple complex where the prayers were held. The people beelined on both sides of road to pay respect to Guru Granth Sahib, installed in Palki. Rajinder Mohan Singh Chhina who led the devotees who amid beats of `Nagadas’ (drums) and slogans of `Bole so Nihal’ passed through city roads. The Shabads in praise of Guru Nanak rant the air. Chhina, congratulating all on the occasion of Gurpurab and said Guru Nanak message of universal brotherhood and peace is highly relevant in the strife torn world today. He said the procession is taken as per the traditions established by the 1890 set up KCGC and is annual feature. Various social, religious and educational institutions including chief Khalsa Diwan welcomed the Nagar Kirtan on the way. KCGC Joint Secretary S. Gunbir Singh, S. Ajmer Singh Heir, S. Sardool Singh Manann, Member Lukhwinder Singh Dhillon, Paramjit Singh Bal, Gurmeet Singh, Khalsa University vice chancellor Dr.GS Walia, Principal Khalsa College Dr. Mehal Singh, Dr.JS Dhillon, Dr. SK Mahal, Dr. RK Dhawan, , Dr. Amarpal Singh, Principal Dr. SP Kaur Dhillon, Dr. Neelam Hans, Dr. Jaspal Singh, Dr. Harbhajan Singh, Dr. SS Sidhu, Dr. Harish Kumari, Nanak Singh, Dr. AS Gill, NS Bhangu, Tejinder Kaur Bindra Dr. Gurinderjit Kaur, DK Sandhu and DS Rataul were present.